Two years ago, Kalima, KQuark and I came together with the desire to create a website that represented the things we valued most in a blog. Real freedom of expression, thoughtful and substantive discussions on important issues and a community where people treated each other like the fellow human beings they were, especially when they disagreed. A site where the focus was on the people whose presence and participation made the site what it was and the heavy hand of moderation and the power of the site’s Administration were next to invisible. PlanetPOV officially began its orbit in August of 2009. We had high hopes for The Planet but we kept our expectations modest. What resulted, in the quality and character of the community that grew and continues to grow here, humbles and amazes us. As some of the emails we receive reflect, the degree of intelligence, conscience and wit that’s reflected in the articles and comments here really wow our readership. PlanetPOV has members and readers each month from 132 countries, the top 20 this month are the United States, Japan, Canada, Philippines, United Kingdom, India, Ireland, Germany, Australia, Brazil, Italy, Netherlands, Mexico, Indonesia, France, Turkey, Russia, Malaysia, New Zealand and China. This year, PlanetPOV will have over half a million visits. Sites that have linked to PlanetPOV already this month include Crooks & Liars, Talking Points Memo, The Peoples View and DailyKos. Come quakes, tsunami or floods, Kalima determinedly brings you insights into the ongoing situation in Japan and the latest and most important international events each day on Morning Blog. Bito stays up to the minute on news and events you want to know about (with the cooperation of the entire membership) on Time Out for Off Topic. Chernynkaya breaks down and smartly presents the most meaningful news of the day including what you can do to take action in each comprehensive, daily edition of The Daily Planet. Khirad covers the ongoing historic and complex events unfolding in the Middle East in his insightful Middle East Update. Bito manages our Twitter account which, as displayed in our Twitter Widget, brings the best of other sharp thinkers and other great blogs from around the web to The Planet, while sharing the wit and wisdom of our community with a greater audience via Twitter. Each Friday night, I moderate our weekly live chat on the week’s events (and a chance to kick back and have a fun evening with your fellow Planeteers), Vox Populi. As our members know, PlanetPOV is people-powered. Our articles, comments, support and operating budget come from our community. There are no hedge funds or internet behemoths that own any part of The Planet, we’re independent and proud of it. Additionally, we have chosen not to use the standard advertising services that could provide us with revenue at the expense of promoting things that we and the community would philosophically oppose. So, we rely upon you, our community, to keep The Planet in orbit. And thanks to your generosity, PlanetPOV continues into its third and possibly most exciting year so far. 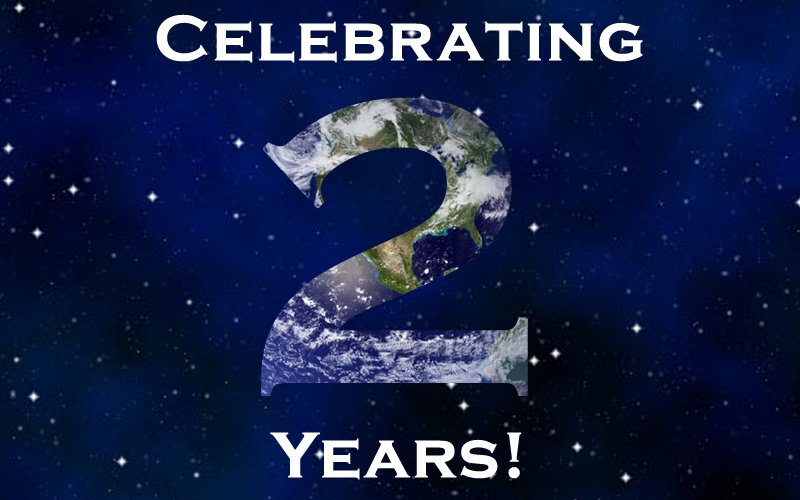 On the occasion of our 2nd Anniversary, we ask of you, our fellow Planeteers, to help out however you can to help us defray our expenses of operating the site. If you have already donated or subscribed this year (thank you so much!!! 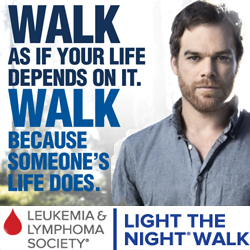 ), if you could make an additional contribution, no matter how small, it would help to make a big difference. There are two ways you can contribute, by subscribing to The Planet or by making a single donation. For subscriptions, bonuses will be sent following your first three months of your twelve month subscription. Even if you can’t subscribe or make a donation at the bonus level, any donation you can make to The Planet would be very valuable and helpful. If you don’t have or don’t want to use a PayPal account, you can still click on either button and you will see a link at the bottom of the PayPal page that says “Don’t have a PayPal account? Click here”, clicking on it allows you to donate directly from your credit card or your bank account by using your ATM card. 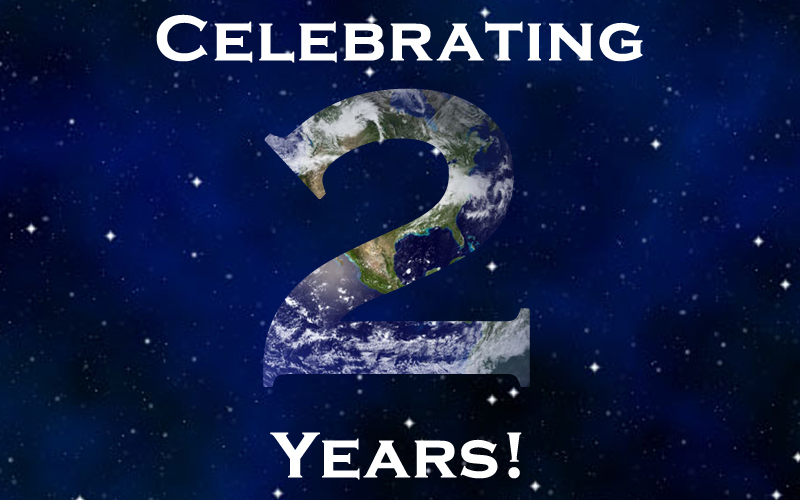 Once again, from all of us, a huge thank you for all of your support of The Planet over the last two years and keeping PlanetPOV orbiting the blogosphere with more and more gravity each year! Cheers and a happy anniversary to you! Gah, I’m sorry that I can’t contribute at the moment. I haven’t got anything set up that I could transfer money with. But, I should have something up within the next two months or so. Compare the technology of progressive and conservative web sites. The differences are astounding. Progressive sites look much better and are technologically superior. Drudge for example is far inferior even to PlanetPOV in appearance and technology for the user. Of course I’m biased but I think the Planet has a phenomenal look. FYI AdLib and the rest ofus chose green not only for it’s appearance but also as a statement. Another example is DailyKOS, even though I find the colors difficult to read has incredible capabilities for the users. I don’t think it’s coincidence that progressive sites are simply more advanced technically. I think it shows progressives are just more technically astute and we seek progress in the way we interact with one another as well. Just a few thoughts on this, because it’s a really good point! This site is actually amazing, technically. I read a lot of blogs, the famous ones, like Kos, and the small, personal ones, and the Planet is in a whole other category. Kos is really primitive. The comments are unreadable--and I mean on a technical level too. The only other site that has very good commenting software is that unspeakable one. IMO, it’s what made that site popular--nothing else. And in addition to looking beautiful, it has so many useful features: The Twitter and News widgets, the archives, the ease of finding the featured articles, the ease of finding current comments and older ones in the comment bar at the top of the page, to name a few. And then there’s the scope of the articles--NO site has all of that. None that I’ve found anywhere. Honestly, and objectively (well, maybe not completely objectively) I think PlanetPOV is a real undiscovered gem. I just wish more people--people like we members --knew we were here. Although bito is helping that happen. Cher, your kind words are very appreciated! No question that the appearance and atmosphere of a blog impacts one’s experience there. HP used to have that going for it in a big way but now it’s such a clutter of ads and badges and pop-ups. And I used to frequent DalyKos a bit more, before Purism became so rampant there, despite their site being hard on the eyes and not very intuitive. So, when we set out on the design for The Planet, we thought that a simple and attractive approach was best. The idea was, make it as intuitive and easy for folks to jump in. It’s a real challenge for any web site to stand out and get noticed amongst the 100 million or so websites out there but thanks to the level of talent, smarts and wit of the community here, The Planet has grown quickly in readership and recognition by other meaningful sites out there. I meant it sincerely that it’s quite gratifying to see what the members here have built, there are many great blogs bigger and smaller than The Planet but I have yet to find one that’s very similar. As you say, the variety and scope of features and articles as well as the freedom of expression that’s provided. This would sound like patting oneself on the back if it wasn’t for the fact that all of this flows from the community here so the props are directed to them. As mentioned in my article above, our anniversary is a good occasion for members to reach out at HP, DK and elsewhere to other folks to invite them to join The Planet. There are a lot of folks like us out there who are tired of the hostile, group-think blogs out there but don’t know about The Planet so it can be a good thing all around. Lastly, as KQuark mentions below, we don’t typically like to talk about The Planet itself, the focus here belongs on the community. However, when it’s fundraising time, it does allow us to take a step back and appreciate the wonderful people and wonderful work that makes The Planet what it is. Objectively speaking as well the Planet is a pretty slick website. I think some of the bells and whistle we don’t have like badges and stuff are not necessary anyway and we have incredible flexibility in what multi-media you can put in posts and even replies. AdLib certainly did a great job with the logo and icons as well. Bito’s done a marvelous job of really integrating other messaging technologies for sure. But most of all I think we have great content and that’s a tribute to all the members. Ironically since this post is about the site, one of my favorite parts of the planet is that we don’t talk about the site itself much. This post is an understandable exception but some intimate blogs end up being nothing but glorified mini social networks. Sure we have more personal interaction than the megasites for example but it’s not overbearing and claustrophobic IMO. Bito: Just sent in a “donation” -- last time it was for a mug, this time I’m holding out for the corporate jet/corporate condo in Hawaii with YOU!! bito trumps me for sure. Sort of like winning to get to chose the color of the unicorn. Hmmm…you say of course I can go to Hawaii w/ you, KQ says “no”. Now, let’s see…your response is dated two minutes later than KQ’s, so of course it is the most up to date one…. Nice to see you guys. We’ve been on vaca for a while; back home, trying to catch up w/ bills and work. Fun, fun…. Cheers and just great to see you AB but alas we’re not politicians so we really are broke. I for one am glad we do not have “badges” here. Birthday greetings to the Planet and mucho thanks to Kalima, KQ and AdLib for getting this ball rolling. This place is an oasis in the midst of a desert of ennui! Thanks so much, Killgore, you help make it that oasis! Cheers! I haven’t been around much lately -- it’s been a busy summer and now I’m preparing the house for almost 100 girls this weekend since school starts next week. (For those of you that don’t know me, I’m a sorority house mom at a small university) I do sneak in late at night and try to catch up on some reading. I appreciate so much how hard you all work to keep the knowledge flowing and the atmosphere like a friendly neighborhood bar. I still don’t know how to use WordPress -- I see that KT is gaining some crazy knowledge! Once school starts maybe I can improve my skills! Thanks for all you do. Good to see Artist. Thanks for the shout out! Thanks for the kind words, Artist50! It’s the substance that matters here, don’t worry about the bells and whistles. But also, please never hesitate to post a question on the Help Desk about how to use the site, we’re sincerely happy to help! Cheers back to you, thanks for what you bring to the mix here! Great to see you and don’t be shy. I’ve been here from the beginning and Kalima still has to clean up my posts. 😆 😆 😆 Not true! I feel badly reading this, as I like to think that I was one of the original members! I’m not active anymore, but I have been checking in lately, and I’ll tell you why. I signed off from blogging, as it became so very depressing. Last February, I signed back in, but on DailyKos, and let me tell you, that things went from depressing to hell. Does anyone here read DailyKos? It’s a right-wing site under the guise of Liberal or Democrat imho, so I’d like to come back here, and be an active blogger. I just do not know how, since this site has changed, and would I be welcome here? Well, of COURSE we want you! Welcome back! Of course, we Arizonans got to stick together. And I’m on board with you about Kos, a firebagger affiliate. Javaz, you’ve been a member here and you continue to be one. Nothing’s changed, a number of members take a break and always return to “welcome”s. Yes, Miss Sally Fields, and I also miss your weird and wonderful wit! How can I be Sally Fields AND evil? Wasn’t she a flying nun?! What fascinates me is the concept of a series about a nun that could fly. I mean, could you imagine pitching that? I did watch it when I was a kid and though I did watch it just to see her fly, I never figured out with certainty if it was her hat making her fly or not and if so, why didn’t it just fly off of her head? Of course, an episode like that, with sweet Sally Fields plunging in terror to the Earth below would probably be ahead of its time…well before the series Jackass. So she should have just let the osteoporosis roll! You need light bones to fly. Yeah I had a crush on her when I was an alter boy. Talk about conflicted. Oh not evil, really. It’s just the tyranny of the overly needy. 😉 I think Miss Fields’ “You like me--you really like me!” was more of the latter, eh, Doc? X2 even the best of us, or the worst I don’t know which I am need a break to get ourselves centered in the real world. I’m just up, don’t expect me to make much sense, but my sincere thanks to all of you who continue to make The Planet what it is with your caring, your brilliant insights, your compassion, and some of the most amazing posts and comments I have ever read. A special thank you to those of you who understand what we are about and what, with your help through the past two years, we have tried to achieve. We started The Planet yes, but you, the wonderful membership, have contributed so much to our success, and we thank you sincerely for that, and for any help in keeping our Planet spinning. I don’t get to say it very often, but thank you to Cher for her very informative DP, to Khirad for his great updates and insights of the ME, and to bito who has done amazing things with our Twitter account in such a short time and contributes many great story links on his TO/OT post. Cheers to all of you. Thank you Planeteers, you are the very best. Now back to trying to wake up. 😆 Thanks so much, Cher!!! I want to get high with you. Khirad, nicest thing you’ve ever told me! I should say I wish. PlanetPOV is the bright spot in my day! I consider each one of you to be my friend and I am grateful for all that I have learned and continue to learn from you each day! Congratulations, PPOV! Many, many happy returns! Thanks so much Emerald! You bring a sparkle to The Planet like the gem you are! Emerald1943, I agree and I look forward to talking more with you! Thank you Emerald, it’s so nice to have you back. No, thank you Kalima! It’s great to be back! I can’t wait in the morning to get my first cup and get my laptop up and going. 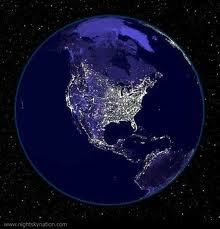 The first place I go to is the Planet to see what you guys have been up to while I slept! I am never disappointed as I know that one of you will have posted something fascinating…or been up to “no good”! What a team! What a site! What an amazing two years! I am so fortunate to be a small part of it! I haven’t been around much (house reno’s, getting ready to move, dealing with a sick dog -- who passed away two days ago) but I pop in each day to catch up on what my favourite people are a-doing. Wonderful wishes and words, Mightywoof! Thanks so much! And great to know you’re around! You’ve got a lot on your plate. Sorry to hear about your dog, that’s difficult to deal with, wish you the best. Greetings MightyWoof. We’ve lost a string in the last few years and just adopted a 5 month pup. In fact, an article by Adonai tossed me over the edge into puppydom. A heartfelt thought for those last days. I hope to spend more time here as my puppy responsibilities settle. This is a great place to be. Sorry to hear about the losses, Foodchain. I have a 13 year old golden retriever that’s having some issues…it’s proof that life is often unfair that dogs live so briefly and awful people live so long. And I’m sure that pup is keeping you busy but what fun! Woof! It’s so good to see you here. You have been missed, believe me. I’m so sorry to hear about the loss of your pup, but I hope that there’s some consolation in knowing that you have sympathetic friends here. As Kalima said, I look forward to seeing you again when life settles down a bit. We have not met, but any friend of a doggie is certainly a friend of mine! I hope we’ll have a chance to get to know each other at some point. I am truly sorry for your loss. I can’t imagine how that must feel. My two little critters are like my children. It’s great to see you again Mw, I’m so very sorry about your loss. Thank you for popping in today, we miss you and hope to see you here again when things are more settled in your life. Take care and all the best. Oh those little four footed furry creatures just have a sneaky way to becoming part of the family don’t they. They do KQ and we both had our own losses not so long ago. I’m still missing Coco, and sometimes find myself calling her name. Thanks for dropping by and I hear ya I had to move last year and didn’t have much time for the Planet either. Sometimes that real life stuff is a pain. KQ, boy is it! Trying to take the time to read this great stuff, even if I don’t have time to respond, is so valuable. I was just bopping along the blog roll and noticed AdLib’s “All the President’s Men” video from PlanetPOV is getting kudos on the blog W. E. E. See You. Back at ya W. E. E.
W.E.E. See You was one of the first blogs to discover The Planet and our being at the cutting edge of criticism of HP, they remain a valued and appreciated colleague of ours (check out their site if you haven’t yet, good stuff! They’re in our blogroll). That is great, and thanks for the heads up KQ! And we may have a small blog roll, but a good one! How ya like that edit? Seriously you can do it with a couple HTML tricks ask Adlib if he can add the capabilities to the comment box itself. < i > italics < b > bold < blockquote > comment box < sub > subscript < sup > superscript. All without spaces of course and you end the effects with < / i,b,sub or sub > depending on the text variant you started. You like that crawl? How about this one? Hey! How are you guys doin’ all that??? I hope the next post makes it up for you. KQ, I am sitting here with tears of joy in my eyes. Thanks for doing that…..
Half a million? That’s it? “Cat playing piano” over on YouTube has 40 billion hits. Seriously though. I know this is a labor of love and it shows. All of the people that make the planet turn are first class. Let me rummage through my couch cushions and see what I can come up with…..
Who do you think taught that cat how to play? Thanks so much Funk, very kind of you to say (and if The Planet is 1st Class, then that includes you!). 😆 and McDonald’s sold 10 billion hamburgers but at least the Planet won’t give you a muffin top. How cool!!! Thanks for this KQ!! !